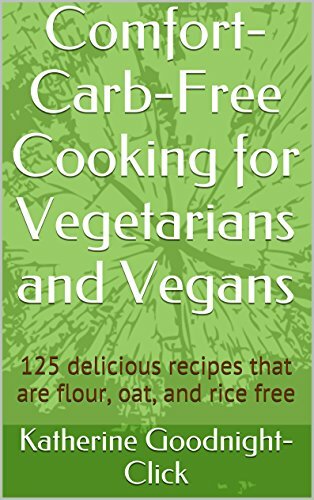 [PDF] Comfort-Carb-Free Cooking for Vegetarians and Vegans: 125 delicious recipes that are flour, oat, and rice free | Free eBooks Download - EBOOKEE! Description: This is not a diet book, but a cookbook for vegetarians and vegans that is filled with delicious, comfort-carb-free recipes. The recipes do not rely on flour substitutes, but are truly comfort-carb-free. These recipes are also, naturally, gluten-free, so they are perfect for herbivores, omnivores, and carvivores - anyone who is looking for gluten-free recipes or dishes that eliminate the comfort-carbs and are delicious. No comments for "[PDF] Comfort-Carb-Free Cooking for Vegetarians and Vegans: 125 delicious recipes that are flour, oat, and rice free".